I hope you guys are all having a wonderful summer! 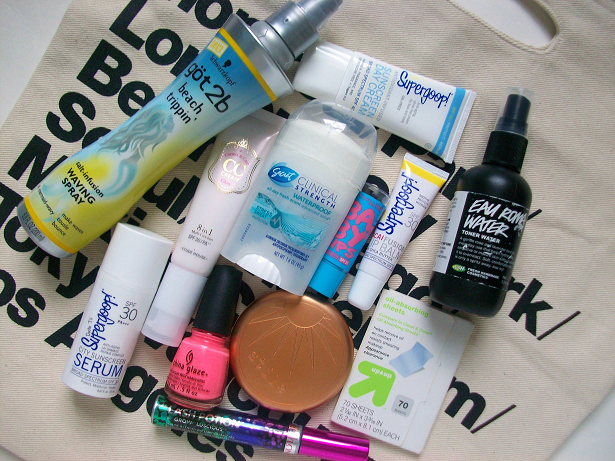 In honor of summer I will be sharing my beauty essentials for the summer with you all. These products are all must haves for me and I cannot live without them or I will melt, stink, and not look good at all! Enjoy! Stila Bronzing Powder: I don't normally use bronzers that much but one time you can catch me using them is during the summer. You can create a beautiful summer glow using a bronzing powder. Supergoop! Sunscreen Day Cream: Sunscreen is absolutely important to use everyday! My favorite brand is Doctor T's Supergoop! Their products are non greasy, fragrance free, and silky smooth. I highly recommend their products! Supergoop! City Sunscreen Serum: If you have any sunburn spots this serum will help reduce any reddish burnt areas. 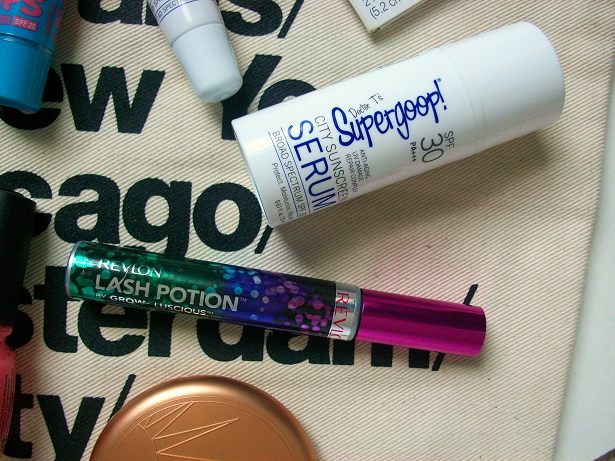 Revlon Lash Potion in Waterproof: Waterproof mascaras are important to wear during summer because you don't want your mascara to get washed away by sweat or water. Maybelline Baby Lips Quenched with SPF: Protecting your lips is just as important as protecting your skin from the sun. 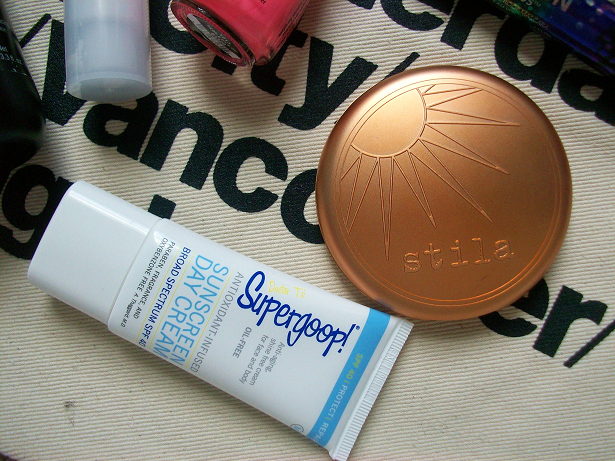 I like to keep two SPF lip products with me during summer. This one comes out easily so I can put some on whenever my lips feel dry. Supergoop! 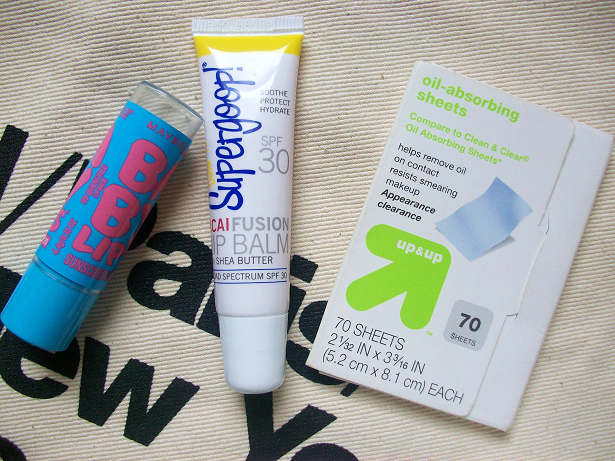 Acai Fusion Lip Balm with SPF 30: This other lip balm is a squeezable but works just as good as the Baby Lips one. Oil-Absorbing Sheets: An absolute must! These sheets will absorb any oily spots you get during the day. LUSH Eau Roma Toner Water: This is a spray toner that can refresh your face on those hot summer days. I like to take this with me everywhere I go just in case I need a light mist of water. Etude House 8 in 1 CC Cream: I wear BB creams on a daily basis but for summer I decided to start using CC creams. This is my first one and it's pretty good. If you don't know what a CC cream is it's basically a very light coverage BB cream. 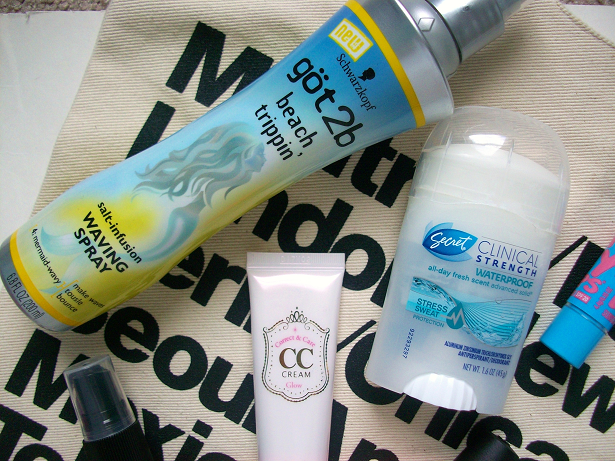 If you would like a post on CC creams let me know! China Glaze Neon and On and On Nail Polish: I love using bright bold nail polishes during summer. This one is my new favorite summer polish, it's a bright neon pinkish coral color that screams fun! 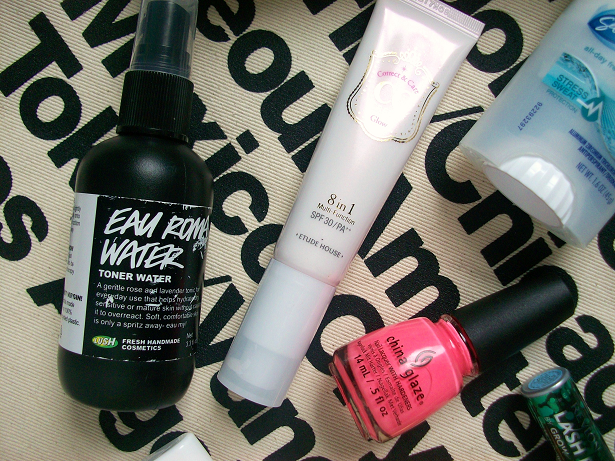 Check out my full post on summer nail polishes here. Got2B Beach Trippin' Waving Spray: Wavy beach hair seems to be the most popular hair style during summertime. Using a spray with sea salt can help you achieve those mermaid waves with just a few sprays. Secret Clinical Strength Waterproof: This is my new favorite deodorant because it works incredible! This stuff won't make your armpits sweat at all and makes them smell fresh instead! I high recommend this product! 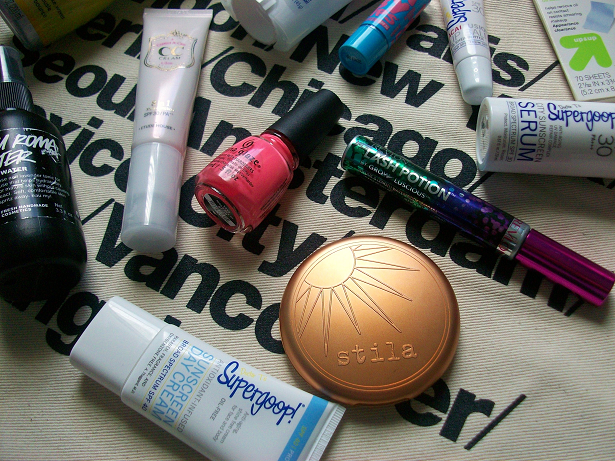 Labels: 2013, beach, beauty, China Glaze, drugstore, essentials, Etude House, face, Got2B, hair, July, LUSH, Maybelline, Revlon, Secret, skincare, Stila, Summer, Supergoop! I've always heard great things about that toner water, but I've just never picked it up (mainly because I don't have a Lush near me), but it sounds so nice!